In the spirit of Christmas, the Mitchell County Historical Museum’s next exhibit is titled “Sanctuaries and Stables”. The exhibit opens on Sunday, Dec.2 with a special open house being held from 1 – 5 p.m. 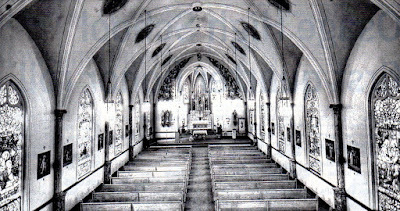 It will feature magnificent photos of all the churches found in Mitchell County, photographed by Jon Sparrow – over 65 pictures. “I’ve been making a project of photographing each of the churches in Mitchell County,” said Sparrow, “both from the exteriors and the sanctuaries”. 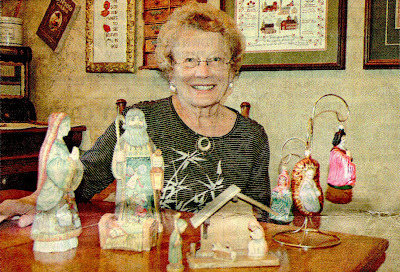 In addition, several local residents will be displaying their collection of nativity scenes/crèches. There will be over 80 unique and one-of-a-kind scenes to view. The “stables” are on loan by Jon and Diane Sparrow, Marlene and Keith Ham, Eloise and Gary Kuper, Steve and Susanne Cooper, Shirley Lister, Velda and John LaCoste, Margaret Smolik, Lois and Chuck Ruehlow, Mary Cornwell Sifrit, Sue Baron, Alice Schmidt, Jane Miller, Harlan and Donna Bremer, Starla and Douglas Cassmann, Betty McCarthy, Richard Lunde, Charlotte Kirkegaard, Judy Scholljegerdes, Dixie and Guy Buhrow, Sandy Krause, Minerva Wagner, Judy and Ed Kramme and Ellen Elsbury. “Kurt and Paula Meyer have so generously loaned us several “sanctuary” pictures from their private collection,” said Elsbury. These are: “Country Church” by Evelynne Mess – color etching; “Christopher Wren Church” by David T.
Grose – color lithograph; “Church” by Jean Rigaud – oil painting; “May Valley” by Larry Welo – color etching; and “St. Paul’s” by Frank H. Mason – print from an original GWR poster. The design team, largest group assembled for an exhibit in the museum, consisted of Donna Bremer, Starla Cassmann, Eloise Kuper, Leone Dunkelberg, Karina Koschmeder, Marlene Ham, Shirley Lister, Margaret Smolik, Lorraine Klaes, Alice Schmidt, and Sue Baron. “The Mona Lutheran Church has loaned us “The Village Church” by Atlanta Constance Sampson – a signed print,” said Elsbury.